I didn’t realize what a prolific author Baldwin was during her career. (Click here to read the Wikipedia article.) 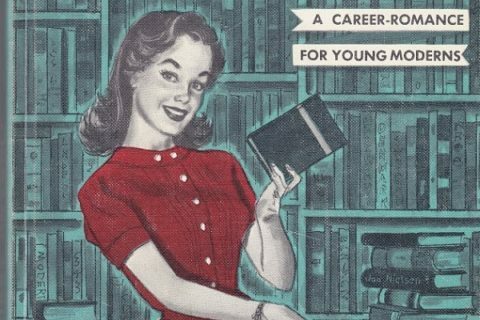 Generally the theme of her books were women trying to juggle home and career. Evidently this book was originally published in 1943 and then they updated the cover and gave it a paperback release in the early 1970s. 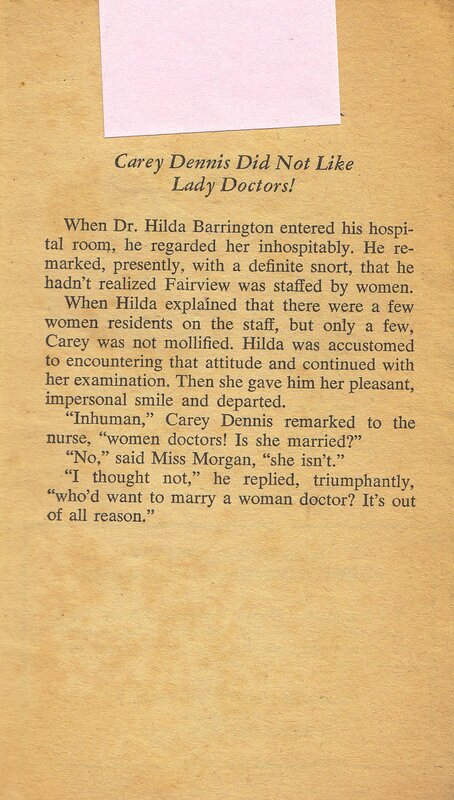 This romance has us following Dr Hilda Barrington, who is one of a handful of “lady doctors” known as the “hen medics”. She meets Carey who has an ulcer. Naturally, he has a problem with women doctors. Regardless, they fall in love, get married. 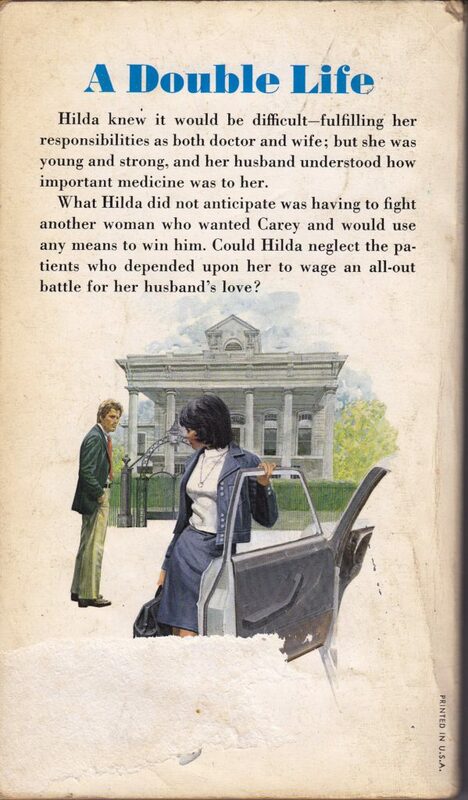 Poor Carey doesn’t like that Dr Hilda is not there for his every need. Then Carey’s ex gets involved and things get dicey. Don’t worry, they will sort it all out by the end. You know, even today I still see and hear “woman doctor” (and they’re not talking about gynecologists). Being a book first published in 1943 and paperback put out in the 70s, this is perhaps too old to be in a Public Library, but some of us sometimes seek out these older books. I know it sounds odd, but myself, I like reading these books just for the situations, the ways of the times, the way people/couples behaved at the time as far as their morality and how they spoke even. It’s sort of hard to describe but to say that I like to compare how things were back then in the 1940s compared to how they are these days, and with these older books, there are a lot of things that have changed so much that reading these books can really be fun. Again, mostly the comparisons. I figure, I do gain because I am reading (always a plus! I LOVE to read!) and I also get learn about things from that period in time, especially the things that are unheard of in these far different, far more ‘modern’ times. I have a hard time describing what I mean sometimes, (“Fibro Fog”!) but I hope you all get the gist of what I am saying. Romances as well, were conducted far differently in the 1940s than they are now, for one example. It’s just fun for me to see the parallels in life, then compared to now. Crazy as it may sound, I do enjoy it! Please tell me I am making sense? lol Have a nice weekend! Oh, you make sense! I myself collect early American religious fiction, and part of the fun is how different everything is — and yet how much the same. I have enjoyed reading Faith Baldwin for just those reasons, too, Marie! I love the older books where the protagonist has to adjust to life with only one servant (!) due to some life setback for her husband, things like that. And everything was always so civilized! Hats and gloves and formal entertaining even of just the neighbors. And writing letters (lots of letter writing) that were delivered to the recipients by the next day. You make perfect sense to me, Marie. I too like to immerse myself in an era through reading books published at that time. It’s one thing to read about how the 1940s were according to a contemporary author, but another and, in my opinion, more authentic thing to read books of the era and let the social structure present itself by doing, not telling. Run Hilda, RUN!! Carey is clearly a career-ruining prat! how can she be both “dark” and “creamy-skinned”? “Dark” in older books usually referred to “dark-haired”. Presumably at a time when associating outside one’s own race was all but unthinkable, there was no reason for anyone to assume it referred to the entire person. Also, ecru and peace rose are both considered shades of cream, yet would be rather dark if you’re used to looking only at Irish complexions, for instance. Shouldn’t the book’s title have spolier tags? I am often around a lot of irritable old men (I am member of a volunteer FD) and one of the older (96 yrs old) members who frequently sees his physician, never fails to mention that “she is a lady doctor, but boy I tell ya, is she good. She knows everything!” I think it is an age/cultural issue. Younger male members would not think twice about a woman physician. The really sad thing is that there are still plenty of people who think only men should be doctors and only women should be nurses. I tell people like that “Maybe on *your* planet”. 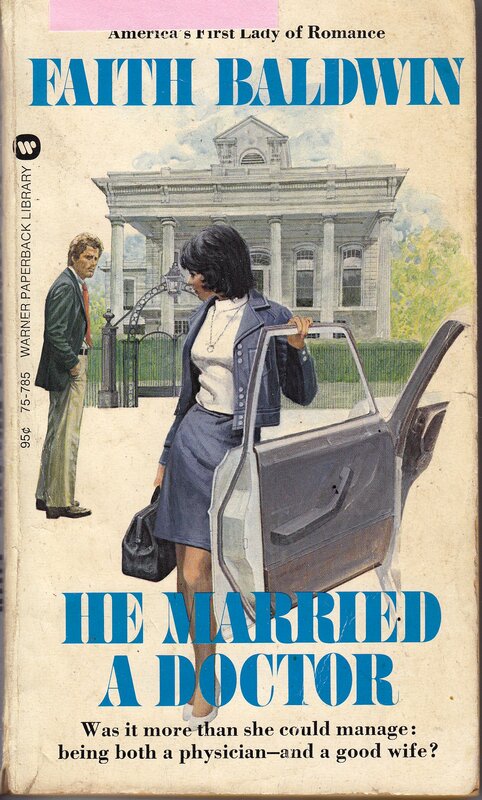 I don’t know much about publishing, and perhaps there’s always a market for it, but it seems odd that a book published in 1943 would get a ’70s cover as though it was a contemporary tale, especially when you consider the major social changes that took place between the ’40s and ’70s. 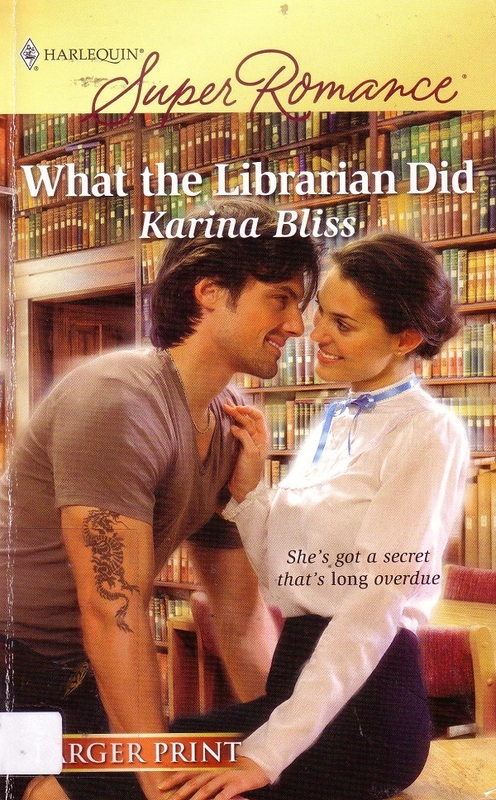 Although I suppose romance novels are typically a bit behind the times anyway, so maybe no one noticed. I would have liked to have seen the original cover art! I would like to hear someone make soothing but contradictory noises. I looked this one up in the Catalog of Copyright Entries to see if its copyright was renewed. (Sadly, it was.) The Catalog gives some information about its publishing history. It apparently first appeared as a serial in Hearst’s International-Cosmopolitan, beginning with the August 1943 issue and ending with the January 1944 issue. 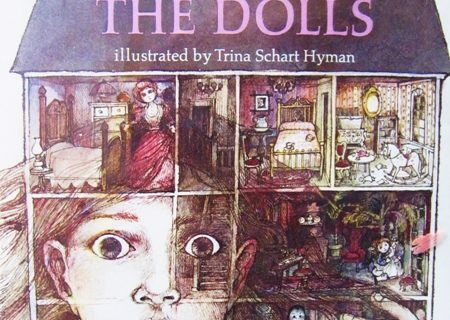 The book version, which is registered as having additions, came out January 1944. 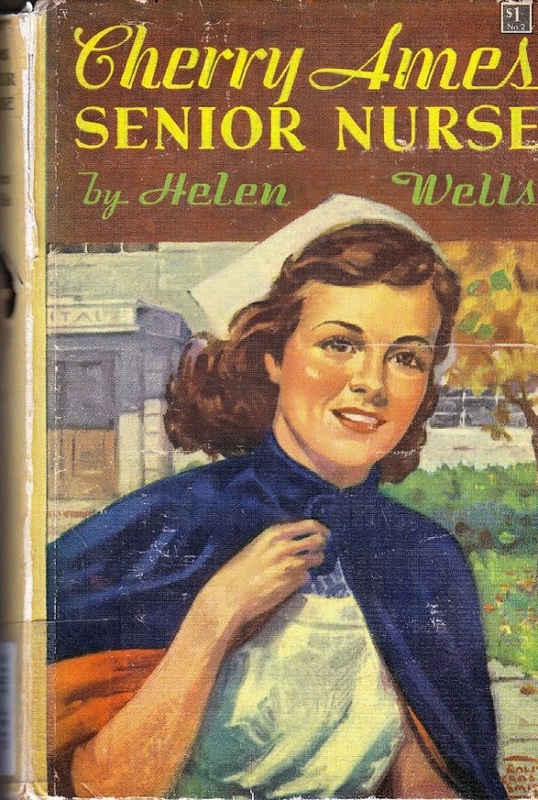 This came out a few years after “She Married a Doctor” by Dorothy Walker (1939). 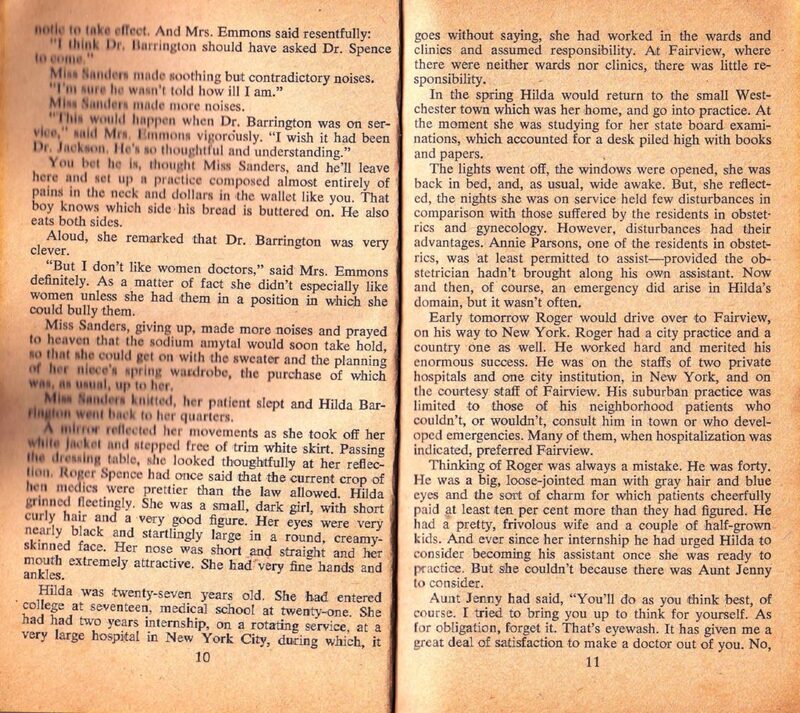 There’s also 1935’s “She Married the Doctor” by River Song Jessie Gilbert..